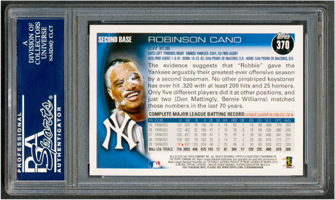 Comments: I discovered the Pie cards when I first started searching for the right Cano portrait a few years ago. 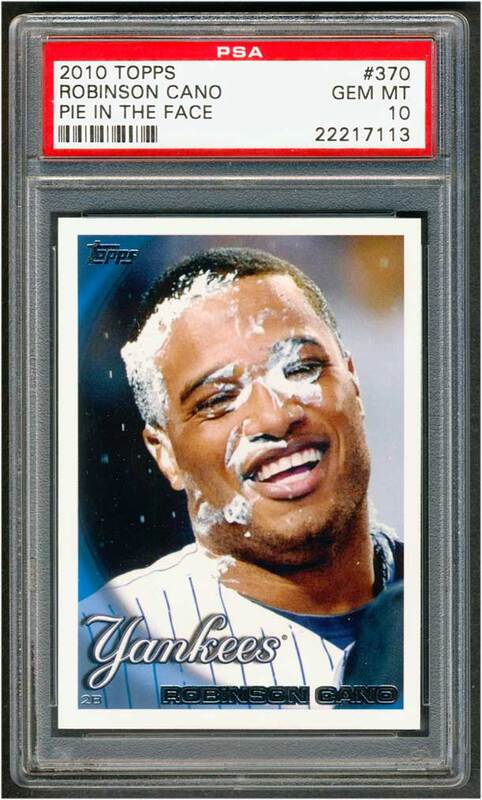 The Pie in the Face cards were pretty expensive with the Cano selling between $75-$100. I have not been able to find the distribution numbers or rates of insertion but they were tough to find. I looked at several but couldn't pull the trigger. 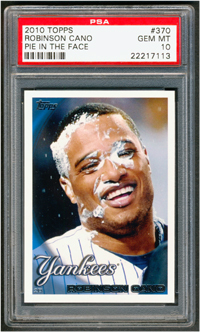 I really don't feel comfortable buying raw cards on eBay where I have to spend $50+. Unfortunately, I looked for a year or more and a graded example didn't surface. In the time frame I would say only a handful of raw examples were made available. Like I said - tough! In June, 2012 I finally took a chance and purchased a raw card on eBay for $87. It looked clean in the scans, described MINT. Sure enough upon receipt the card was beautiful. The corners were sharp - no dings. I was thrilled. 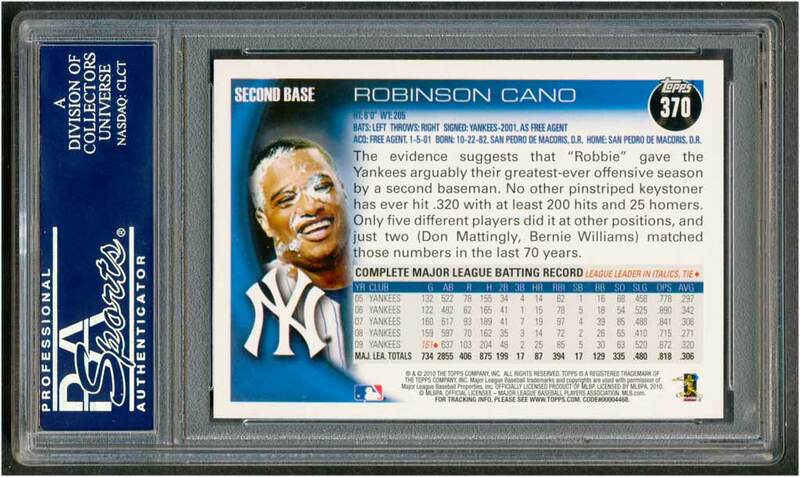 The centering was just a touch off so I didn't think a GEM MT grade was possible. Well.....I was wrong! The card came back a perfect 10.